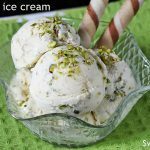 Pista ice cream recipe with & without Ice cream maker – Sharing a easy eggless pistachio Ice cream recipe. 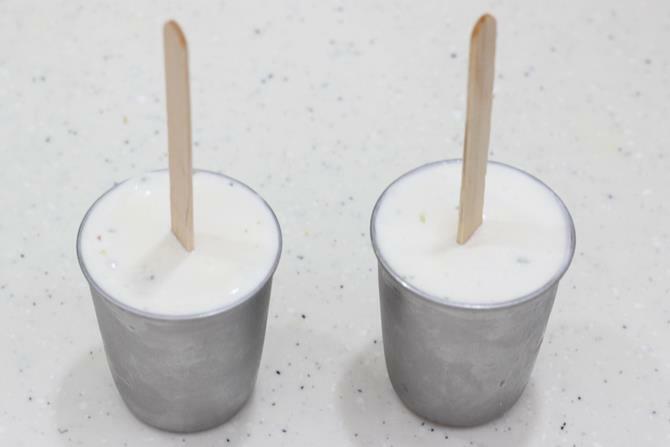 I had a reader’s request for a Falooda and kulfi recipe. I did make Vanilla Ice cream several times in the past months. But it didn’t even last more than a day. 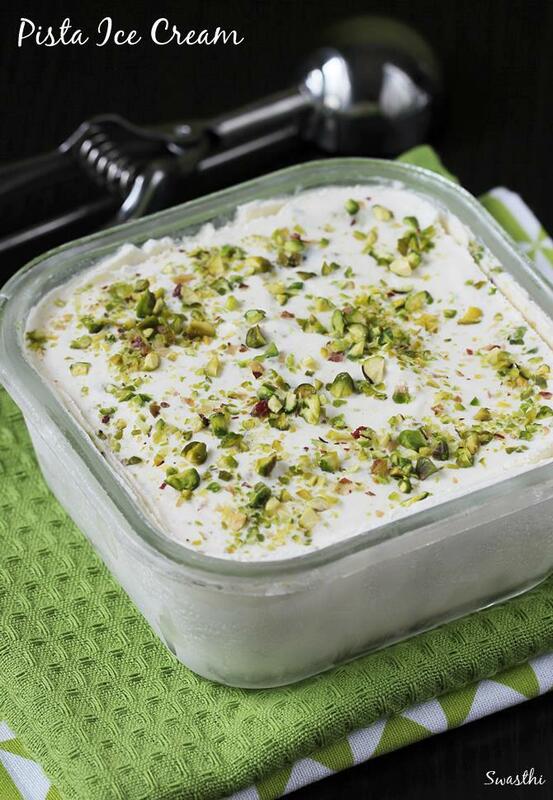 This time I made this pista ice cream to top the falooda. It’s holiday time and my kids didn’t spare this one too as it was extremely delicious. 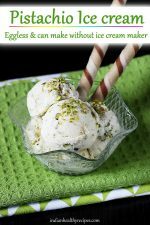 Pistachio ice cream is a popular ice cream variety made with pistachios, cream & sugar. 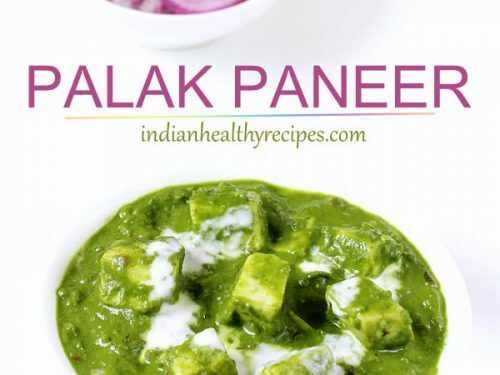 Most often edible green food color is added to it to make it more appealing. There are 2 ways a pistachio ice cream can be made. 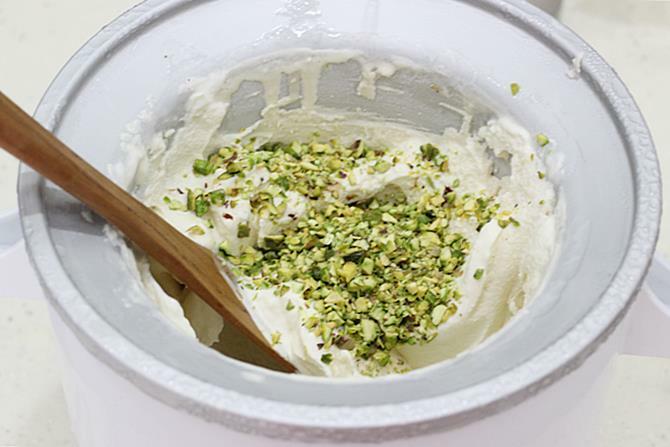 First method is made using ground pistachios and the second method is to make a simple ice cream and then just add the chopped nuts towards the end or during the freezing. I am sharing both the methods here. 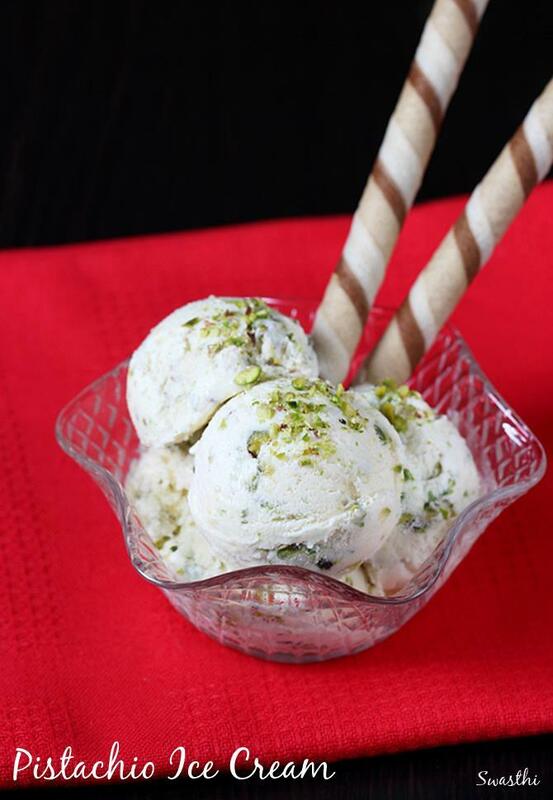 This pista ice cream also goes very well to top falooda, vanilla milkshake, waffles, Pancakes. 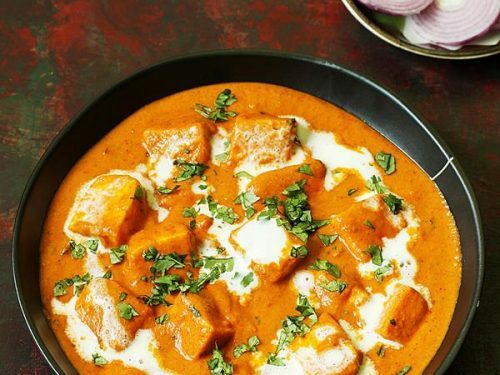 It can also be served with Gulab jamun, carrot halwa or Gajar ka halwa. You may also like these 16 Easy Ice cream recipes without eggs. 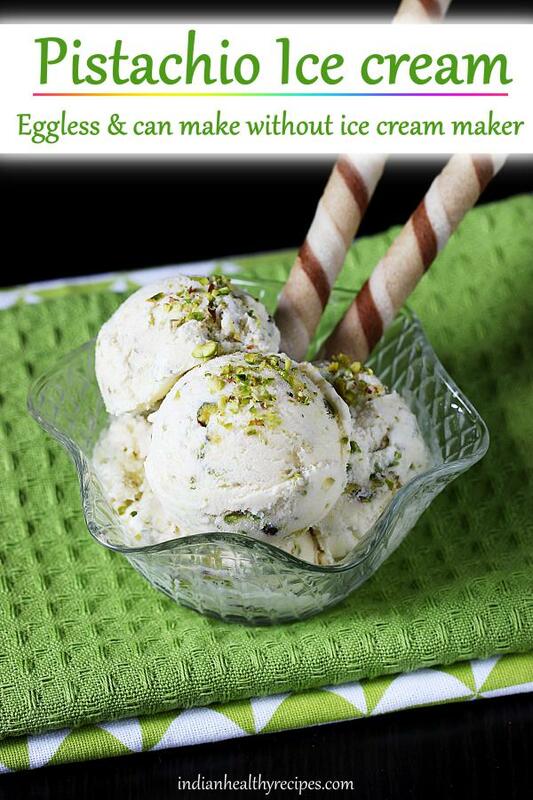 Eggless pistachio Ice cream, makes a great dessert for parties. 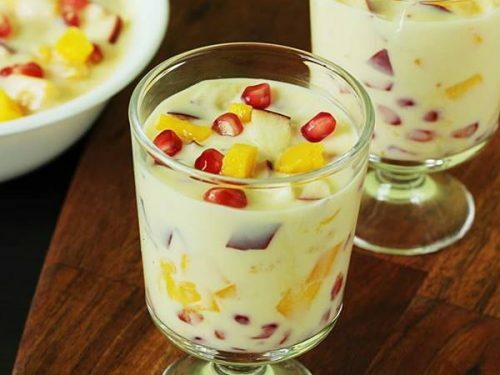 It can be used as a topping for waffles, pancakes, milkshakes, gulab jamun and falooda. If you do not have a icecream maker, please follow this ice cream recipe without maker. Chill milk and cream. Freeze the icecream maker bowl as per the manufacturers instructions. 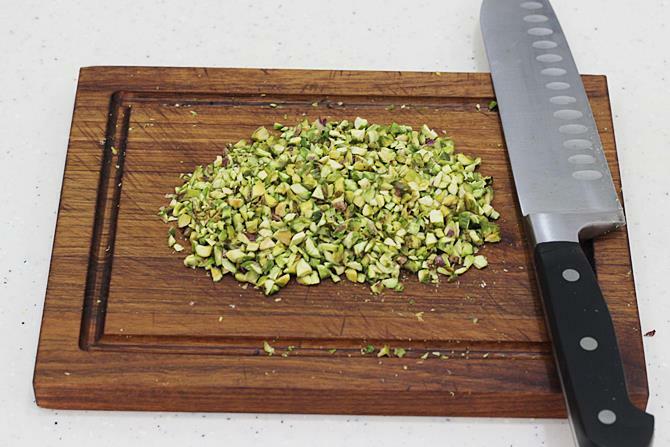 Chop pistachios finely and set aside some for garnishing. 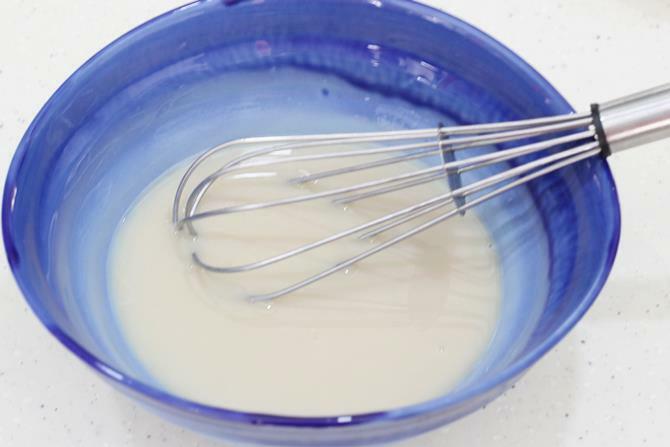 Whisk together milk, vanilla and sugar to melt the sugar completely. 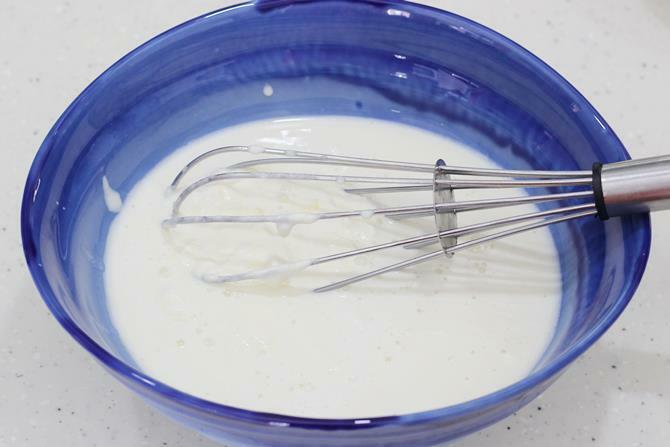 Add the cream and whisk just to mix well. Start the machine and pour the mixture. Churn for 15 to 20 mins. Once the ice cream is ready add the chopped nuts and mix gently. Do not churn after adding nuts otherwise they will get stuck at the bottom. Transfer to a freezer safe bowl. Cover and freeze until set or for 6 to 8 hours. Scoop and serve pista ice cream. Garnish with your favorite toppings. Soak pistachios in half cup milk for about 30 mins to 2 hours. Chop 2 tbsps more pistas & set aside. Blend the soaked nuts well in a blender until smooth & thick. It should have a butter like consistency. Then add ground pistachio paste to the whipped ice cream and stir just until combined. Also combine the chopped nuts. 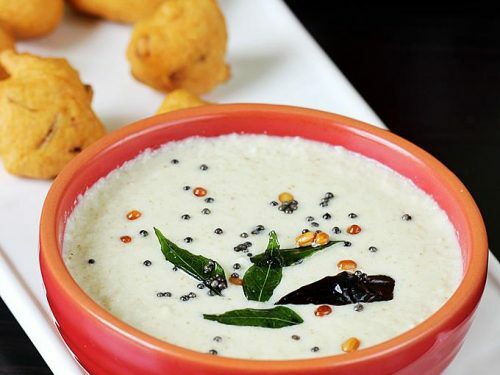 Transfer this to a freezer safe bowl and freeze until pista ice cream is set. 1. For this recipe we need a base vanilla ice cream which can be made with or without a icecream maker. I have made this using a kitchen aid icecream attachment. 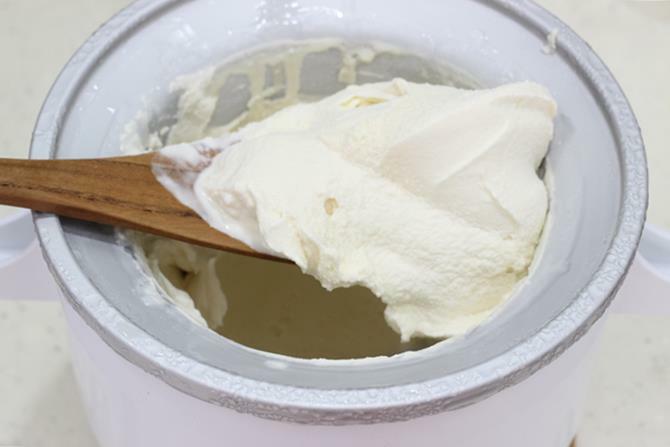 To make one without the Icecream maker, follow this Vanilla Ice cream recipe which i shared earlier and follow from step 9. 2. Chop pistas finely. You can also use a nut chopper. I have used half cup (heaped) pistas for this recipe, which went very well for our taste. You can reduce 1 to 2 tbsp if you do not like them much. Freeze your icecream bowl for at least 20 to 24 hours. Also chill milk and cream. 3. 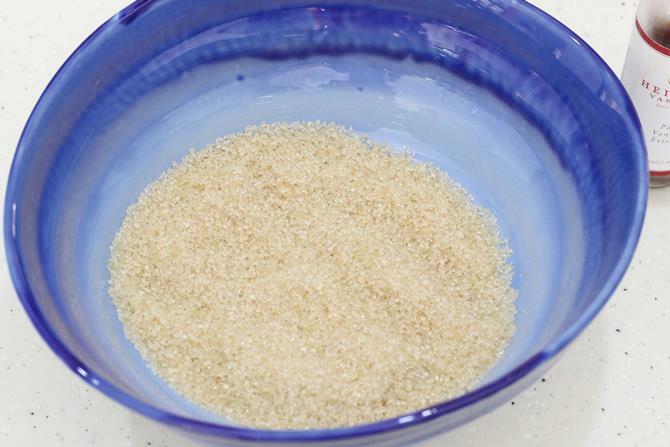 Add sugar to a bowl. I used 3/4 cup organic turbinado sugar, so my icecream turned a bit pale. You can also reduce 2 tbsp. 4. Add 1 cup milk and 1.5 tsp vanilla extract. 5. 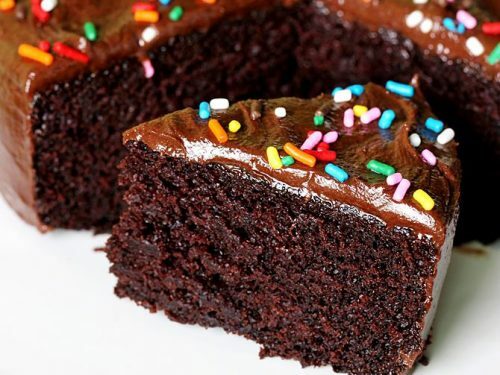 Whisk them very well until the sugar dissolves completely. 6. Add 2 cups cream and whisk well. What you see is just one cup, I added one more while churning since i forgot to add now. 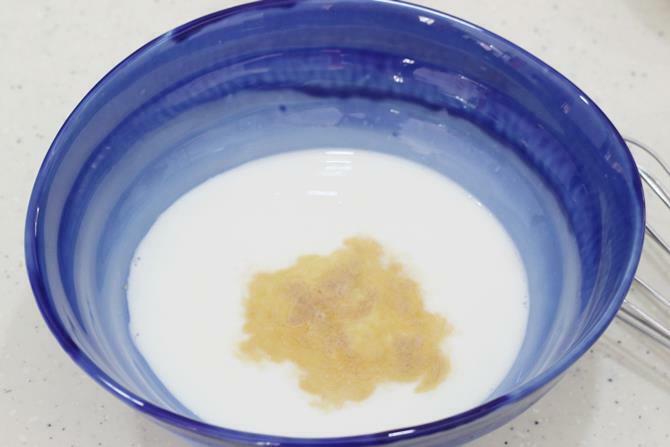 If you do not like to use raw milk and cream, then heat them up until they turn warm. Cool and chill them for few hours. 7. Fix your bowl and start the machine. Pour the mixture. 8. Churn for 15 to 20 mins. You will see this soft set ice cream. 9. Add in the pistachios and gently mix. 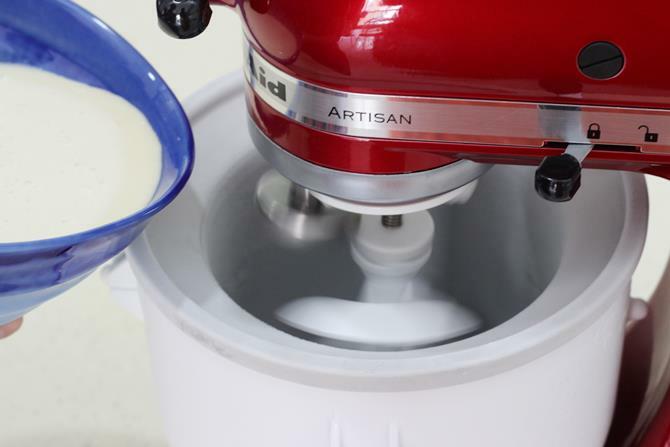 If you have made one without a Ice cream maker, then just follow from this step. 10. Transfer this to a freezer safe bowl and freeze for at least 6 to 8 hours. 11. I was left with a bit more which i transfered to tiny stainless steel cups and put a stick. Covered with foil and allowed them to set. 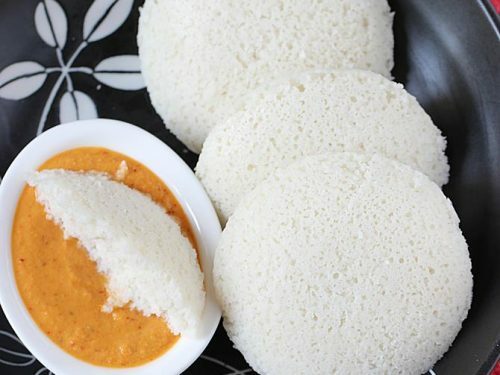 Just before serving, immerse the cups in a bowl filled with water. Gently remove them. You can also use a knife to loosen the Popsicle. 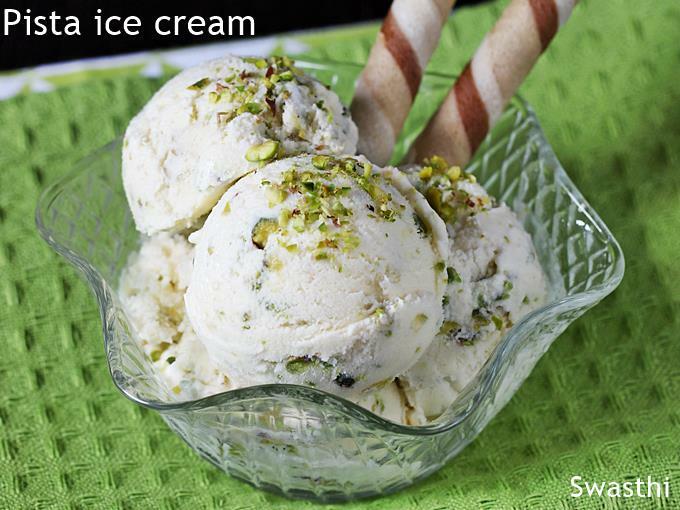 Scoop and serve pista ice cream with your favorite garnishing. So happy to know it turned out delicious.. I suppose you made the ice cream without ice cream maker using the corn starch. Thanks for the feedback. I noticed you used the Kitchen Aid Mixer to Chrun. Can you please tell me which extension you used to chrun it?